FOXGERHARD is Edward Fox and Paul Gerrard, creating music/noise for anyone who wants to listen. All tracks are free to download, however if you use our music don't forget to contact us and we'll work something out. 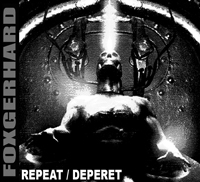 Repeat / Deperet copyright of Foxgerhard.